If you have a DSLR, you have three ways to trigger flash units wirelessly: via infrared, radio or a hybrid method that involves both infrared and radio signals. While all three options can be used for triggering off-camera flashes, they all have advantages and disadvantages for indoors and outdoors use. The infrared system works very similarly to your TV remote at home – if you are not in direct line of sight or there is an object in between, the signal will not reach the destination. On the other hand, manufacturers are able to use infrared to its limits, pushing the most amount of features through it and supporting a variety of shooting applications. Unlike infrared, the radio signal has no line of sight limitations, but comes at a rather high cost, with its own set of problems. The hybrid system simply takes the infrared signal from the commander, converts it over to radio and then converts it back to infrared on slave units. Let’s analyze these advantages and disadvantages in more detail. Low cost – all Nikon/Canon flashes that support wireless communication communicate over the infrared signal, so there is no additional cost. Features – because flashes are built with infrared, this method of communication supports the most amount of wireless features such as pre-flash and various sync modes. Easy to use – infrared is easy to learn and use. Quick to set up – setting up flashes to communicate with each other wirelessly over infrared is very quick. TTL does not require metering – you do not need metering tools to know how much flash power you need. The camera will meter the light for you and pick the right amount of flash to fire in TTL mode. No cables needed – wireless operation is cable-free. Short range – infrared only works reliably in short distances. Requires line of sight – if you cannot see the flash, chances are the flash won’t get triggered. Not reliable under sunlight – shooting infrared outdoors on a bright sunny day is often problematic, since sunlight can interfere with the infrared signal. Very long range – radio works over very long ranges of 1500 feet and more. Does not require line of sight – whether you mount radio triggers inside a softbox or in a different room, they are very reliable. Works under all conditions – as long as there is no interference to radio signal, it simply works everywhere under all conditions – whether you are shooting under bright sunlight and overpowering the sun, or shooting behind thick walls. Extremely reliable – if you are using industry-standard radio triggers from PocketWizard or Elinchrom, you can fully rely on flash triggering every time you press the shutter button. Does not require a flash on camera – the nice thing about radio triggers, is that you do not need a master flash on your camera. If you are just shooting with one light, you only need one flash unit. Mostly manual – while there are some brand new products from PocketWizard like MiniTT1 and FlexTT5 that fully support TTL operations, most radio systems require setting flash power manually. High learning curve – with TTL, you do not need to know much about flash – the camera and flash work together to give you the best exposure. However, if TTL is not available, learning how to use flash in manual mode can be an overwhelming experience for beginners. High cost – good radio transmitters are not cheap. For each remote flash, you will have to get a separate radio receiver. Many of the radio products require a sync port on the flash unit, which means that you have to get an expensive flash to start with, which also adds to the total cost. On the plus side, if you are only using one flash for off-camera set up, then you can save by not having to purchase two flashes – the radio transmitters will trigger the flash for you, so you do not need a commanding unit. Wired transmitters – with the exception of the new products from PocketWizard, most radio transmitters connect with flashes via sync cords. More wires means more mess and potential points of failure. They take up space – additional transmitters and all those wires take up plenty of space and can look rather bulky. Features – hybrid still uses the infrared signal from your flashes, which means that you get the most amount of wireless features such as pre-flash and various sync modes. 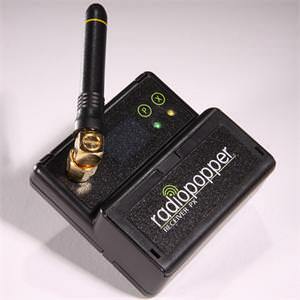 Example of a hybrid trigger: Radio Poppers. Easy to use – similar to infrared, hybrid system is easy to use, as long as it is set up correctly. Quick to set up – initial set up is time-consuming, but once done, setting up master/remote flashes is very quick. No cables needed – hybrid system glues on top of your flash, so no cables are necessary. They take up very little space – compared to radio transmitters, hybrid systems generally take up less space and sit “glued” to your flashes. Requires a master flash – because the primary communication still happens over infrared, you will need at least two flashes (one as a commander) for an off-camera setup. High cost – the above, plus a separate trigger for each flash is going to cost more than a set of PocketWizards with a single flash. 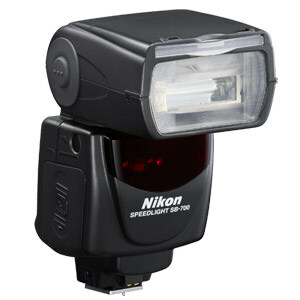 from what I heard Pocketwizard offers wireless TTL for Canon, and is developing this for Nikon. Will be interesting to give this a test. Pasquier, it is already available! The products are called “MiniTT1” and “FlexTT5” and both are available for Canon and Nikon. The Nikon version has not shipped yet, as far as I know. I really should have a 2nd coffee before posting…. just saw the details in your table! They will be great tools though! Boy oh boy I really want the PW, but just cannot justify the cost over a new camera body or a must have lens. Shame it has to be this expensive and I don’t really like the cheep alternatives at all. So I guess I will continue with the build in IR and is disadvantages…. Yet another great article! Seriuosly considering Nikon version of PW FlexTT5. Keep up with your great work Nasim! С Новым Годом Анвар Ака!!! I’m hoping to get some sample units to test soon. So far, the FlexTT5 system seems to work great! I really enjoy your articles on flash. I was thinking of picking up a couple of SB 600’s to use with my SB 800 for a 3 light set up. Can you tell me if two 600’s together would equal the light output of a SB 800 or 900 if used together to boost the flash output. The cost of two 600’s is still less than one 900. Especially if the 600’s are not the main light just fill. Any thoughts? Two SB-600 would be better than a single SB-900, since you could use one as main and another as fill/rim light. As far as flash power, I believe two SB-600 would give you more power than a single SB-900 when triggered from the same location. You are most welcome Cenk! I was planning on getting a flash for myself..i was planning to get an sb 600 when i read about sb700..which one do u think i should go for…do u think getting an sb700 is a better option than getting an older sb600..i am using a nikon d90 cam..i presently use Tokina 100mm f 2.8 macro,18-105mm.i am plnning on getting 50mm 1.4g and a Tokina wide angle lens..
Pls advise on the flash. The Minolta/Sony IR wireless flash system predates both Canon and Sony. I’m still torn between a radio system and an infared system. I don’t think you need to be in dilemma any more. 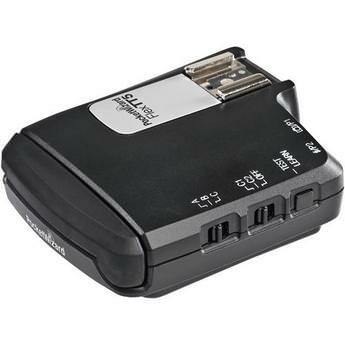 Here is a wireless flash trigger YT21 which combines wireless and infrared function. It makes the decision much easier, doesn’t it?